Like Every Year, Staff Selection Commission is going to conduct a written examination for Lower Division Clerk (LDC), Data Entry Operator (DEO) and Postal/ Sorting Assistant post through Combined Higher Secondary Level Exam-2017. Exam was conducted on various Dates in March 2018. Let’s take a view on SSC CHSL Cut Off Marks. We will provide you here expected cut off marks for CHSL 12th Level exam 2017-2018. Candidates can check the cut off marks for Written Exam necessary to appear for Next Stage i.e. Descriptive Test. The Staff Selection Commission will conduct a Written Examination for Recruitment of Posts of Lower Division Clerk & Data Entry Operator, Postal, Sorting Assistant Exam on various dates at different centers across the country. This Year Posts of Postal Assistant & Sorting Assistant also added to this Recruitment. So Recruitment was done for 3259 LDC/ DEO/ PA/SA Posts. Candidates have to secure minimum qualifying marks to appear for Descriptive Test. Descriptive Test will be conducted on 08.07.2018. Total Candidates No. Will be available Soon for Next Stage. Candidates can leave their comments in the comment box. We will make a full try to Answer your query. Latest Updated On 25.09.2018: The SSC CHSL Tier 2 Result May Declare Soon………Stay Connected with us….. This year SSC has conducted an Online Exam for Tier-I. Through this exam SSC recruits the candidates for LDC & DEO in various Govt. Ministries & Subordinate offices and this year Postal/Sorting Assistants and Court Clerks also. SSC CHSL 2017 Tier-I Online Test was conducted on the Date 04.03.2018 to 26.03.2018. Qualified Candidates Will Face the Tier 2 Exam on the Date 08.07.2018. SSC LDC & DEO exam selection process is quite simple. First Step is an All India Online Written Exam followed by Descriptive Exam & Second Step is Typing Test. Candidates have to pass in each step to crack the nut of SSC 10+2 exam. Candidates Who gave the Exam are now waiting for there Exam Result Many Candidates Started Searching for there Result so we advise them to have some Patience. Soon the Result Will be available on the Official Website of CHSL or also from the Below Provided Table. Candidates have to focus on their typing speed with preparation of written exam because it is not an one day affair to get 35 w.p.m 0r 8000 key depression per hour. Candidates have to practice regularly to attain typing speed. Mere qualifying written exam doesn’t work for Final Selection, you have to pass in Typing Test also. Candidate need to give regular 1 Hour for Typing of English/ Hindi. All Candidates who gave the SSC LDC/ DEO Exam are advised to keep visit SSC website regularly for latest updates about SSC CHSL Exam result. All Updates Regarding SSC CHSL Result wil be available on our website (www.jobriya.com). Keep Visiting for Latest Updates Regarding Result & Typing Test. There were Total 150 Questions in the Exam. All Questions in Written Exam were Multiple Choice Objective Type. The question paper was available in both English and Hindi languages. In the BSSC exam for convenience Books were allowed in the exam hall premises. Written exam was taken in various Sets like A, B, C, D for transparency in the exam. BSSC will upload soon the Answer Key for the Inter Level Exam. All BSSC aspirants are advised to be in touch with the BSSC Official website regarding Answer Key for Inter Level Exam 2014. BSSC Inter Level Exam 2014 Answer Key 2018 will be uploaded after commencement of all date exam. Bihar SSC may upload Inter Level exam answer key Soon. Candidates who have Objections regarding Official uploaded Answer Key may send their Representation. Objection Notice will be merged with Answer Key Notice. Dates for Objections will be notified in the Answer Key Notice. Get Answer Key for BSSC Inter Level exam 2014 from our Leading Job Portal (www.jobriya.in). For Regular Updates about Answer Key bookmark our website & stay updates always. All BSSC Graduate Level Aspirants can share their views related to Answer Key, They can also share their Marks to get an Idea about their Chances in the exam. Our Panel will be happy to assist you. You must enter your Name, Father’s Name and Date of Birth. Updation about Admit Card & Interview Process will be available on our website (www.jobriya.com) Keep in touch with our website for Latest updates. 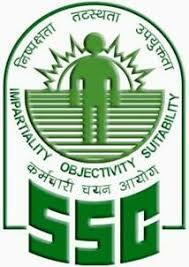 Bihar Staff Selection Commission (Bihar SSC) has Announced recruitment notification in September 2014 for recruit 13120 Vacancies for Posts for the posts of Forest Guard, Stenographer, Lower Division Clerk (LDC), Typist, Junior Accounts Clerk, Assistant, Revenue Worker, Panchayat Sachiv, Assistant Worker etc under Inter Level Combined Competitive Exam. As per Rules of Direct Recruitment a Combined Competitive written exam is conducted by Bihar Staff Selection Commission for the various Posts under Inter Level. Nowadays Competition Level become very high so Competitive Exams gets too tougher. Candidates facing critical problem of “What to prepare” and “How to prepare” for the best in their Exams. So, here we are providing the latest Syllabus & Exam Pattern of Inter Level Combined Competitive Exam Exam conducting by Bihar SSC. Written Exam will be Multiple Choice Objective Type. Each Question will be of 04 Marks. The Duration of Test is 02 hrs 15 min (135 Minutes). The question paper will be available in both English and Hindi languages. For every Wrong Answers 1 mark shall be deducted. NOTE : Preliminary Exam will be taken including Book. So Candidates can carry Books with themselves for Written Exam. Candidates can carry only one book for one section. Handwritten Notes or Photocopies are not allowed in the Examination Hall. General Studies : In this objective of questions about general knowledge of surrounding society of the candidates to test the awareness about surrounding activities. Questions will also be included towards a scientist sight and thinking which expected from an educated person. So, candidates should must focus on affairs about India and its adjacent countries too. Current Affairs : Scientific Progress/Development, National/International Awards, Indian Languages, Books, Script, Capital, Currency, Sports-Athlete such as essential knowledge. India & its Adjacent Countries : History of India & its Adjacent Countries, Culture, Geography, Economical Scenario and Constitution of India & State Administration, Political series of Country, Five-Year Plan, Contribution of Bihar in National Movement. General Science : Focus on Physics, Chemistry, Biology and Geography. Mathematics : Questions will be asked from Simplification, Average, Percentage, Time & Work, Area, profit & Loss, Simple & Compound Interest, Time & Speed, Investment, HCF LCM, Problem On Ages, Bar Graph, Pictorial Graph, Pie Chart. Date Interpretation is the section which have to be focused. Comprehension/Logic/Reasoning/Mental Ability : Focus on Comprehensional Reasoning, Venn Diagrams, Number Series, Coding and de-coding, Problem Solving Techniques, Statement & Conclusion type questions, arithmetic reasoning, arithmetical number series, non-verbal series, syllogistic reasoning, Seating Arrangements.